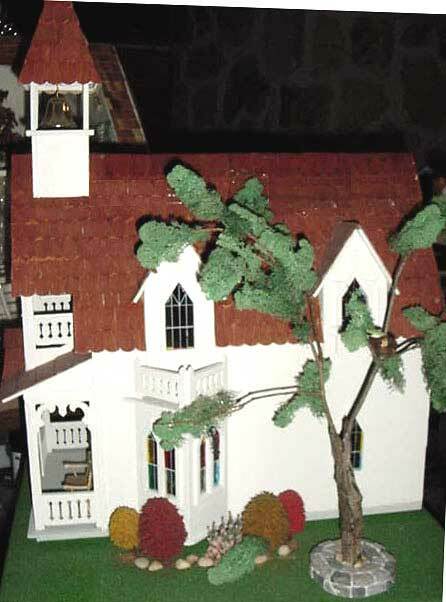 This chapel was made from the Vineyard Cottage Dollhouse Kit by Greenleaf. 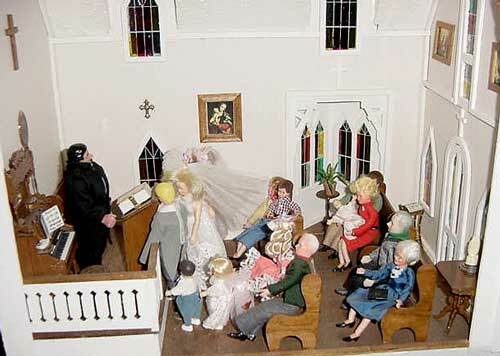 A wedding is taking place. The second floor was omitted. The pastor is actually a Bat Masterson doll! Some of the paintings are actually postage stamps from other countries. 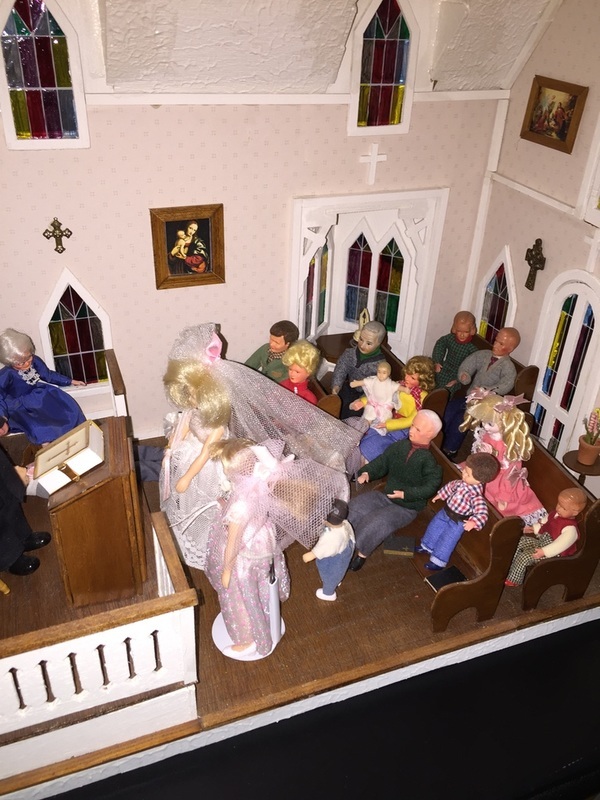 The congregation is composed of Caco dolls. The wedding party is by Hasbro. 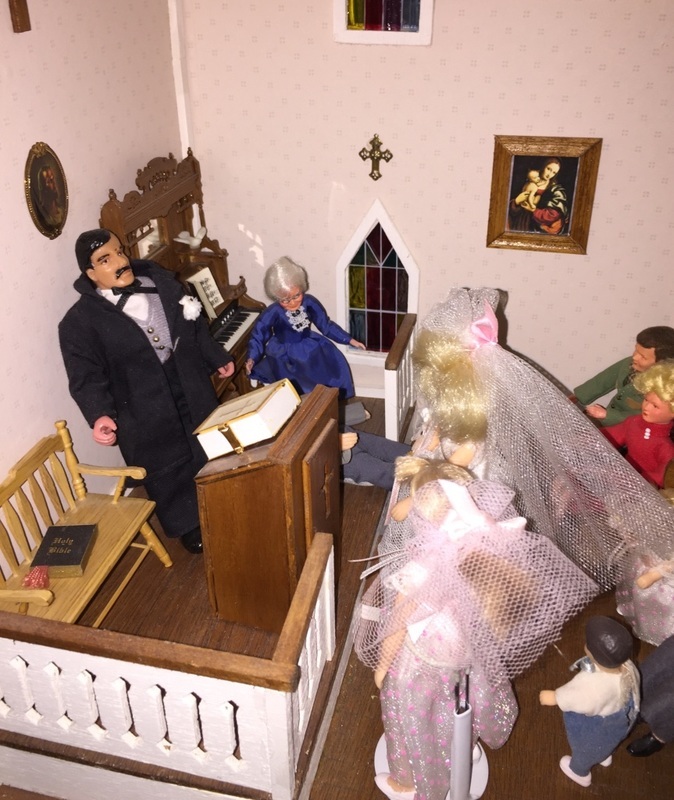 The pastor is a Bat Masterson doll. 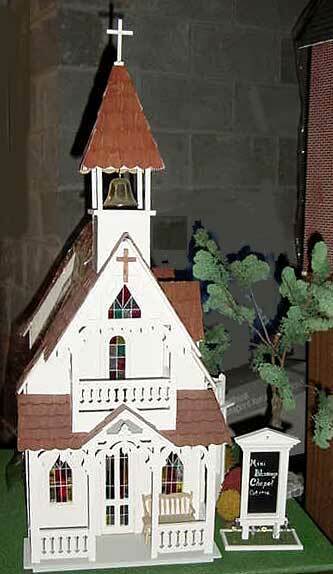 My dad made the pulpit and pews.